Are you thinking of welcoming a new cat into your home as a friend for your already much loved feline? 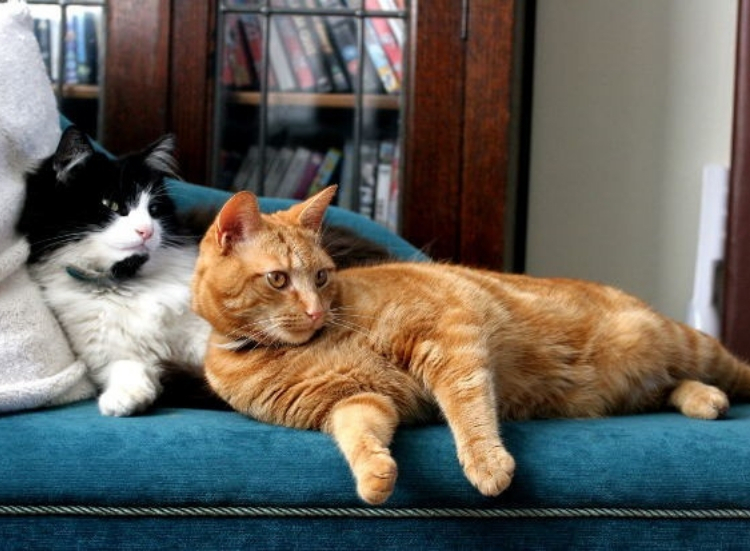 We understand it can be very tempting to want to have a new kitten at home and it’s somewhat easy to romanticise the idea that your cats will become best friends at the first meeting but the reality isn’t quite as easy as that. The most important thing you need to ask yourself is whether or not your cat has proven to be able to be around cats in the past? Do they get into fights regularly with the local street cats? Have they been an indoor cat for their whole life meaning they’re not very well socialised? If the answer to either of these questions is yes it may not be the best idea to introduce a new cat into the family. It’s not uncommon for kittens to be adopted when they are too young. This leads to quite severe anxiety issues as they grow up, and without their siblings around them to be of support and to help them learn “cat language” these cats can grow up to be quite challenging, especially if they have to socialise with other cats. However, if you think your cat may be okay with having a new friend at home there are certain things we would recommend doing. Unfortunately, like humans, we can’t expect our cats to be put into a room together and be friends immediately. They need time to work one another out and learn how to communicate with one another. Get your new cat its own litter tray and bowls. This will give them a sense of confidence that they have somewhere that is just for them in their new home but it also means your old cat won’t get angry that this new creature is stepping in on their territory and taking their things! Investing in multiple beds and/or cat trees is highly recommended! This will help them feel secure and safe in the knowledge that there is somewhere for them to go and hide alone if they get into any confrontations with each other. Try spraying some Feliway pheromone spray or use the plug in diffuser. This could really help sooth both your cats’ nerves and reduce the anxiety levels leading to aggression! Introducing them gradually really is key. Having your new kitten kept in one room for a while and letting your old cat sniff around the door so they can get the scent of the new visitor will be really helpful so they aren’t quite as shocked to see a new animal in their home when the new kitten is let out on their own. If you are concerned about either of your cats once they have been introduced, whether it is a concern for their stress levels or anything else, we would strongly advise contacting your vet and discussing this further. It is important that your cats have all the support possible when going through any changes and your vet will be the best person to help them!